In my head I heard the infamous Vader intro song of Star Wars. I think I hummed it the entire time I was making these eggs. Okay I know Nerd alert! But I just cannot help it. These eggs are so galactic! Trust me your son or daughter will totally dig these. 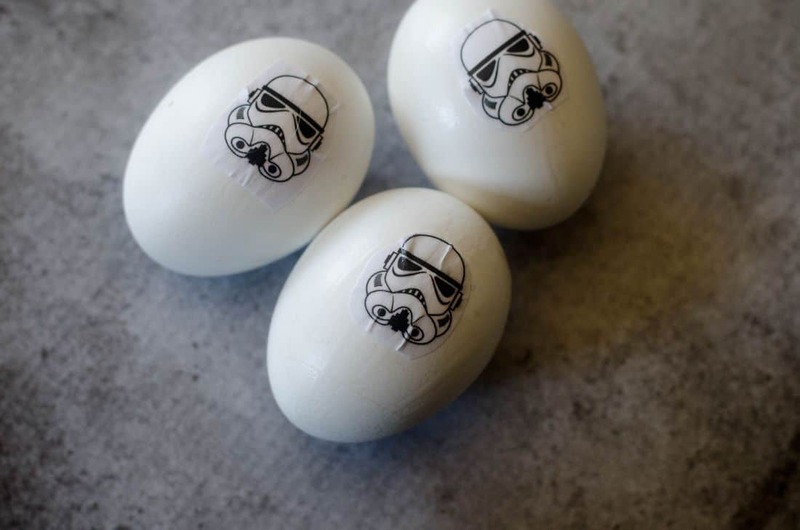 These Storm Trooper eggs are pretty simple to make. Here we have a storm trooper printable that you can click and print. Then cut out all the heads. Boil eggs for 8 minutes and let cool. Print out storm trooper head sheet. Cut out all the heads. 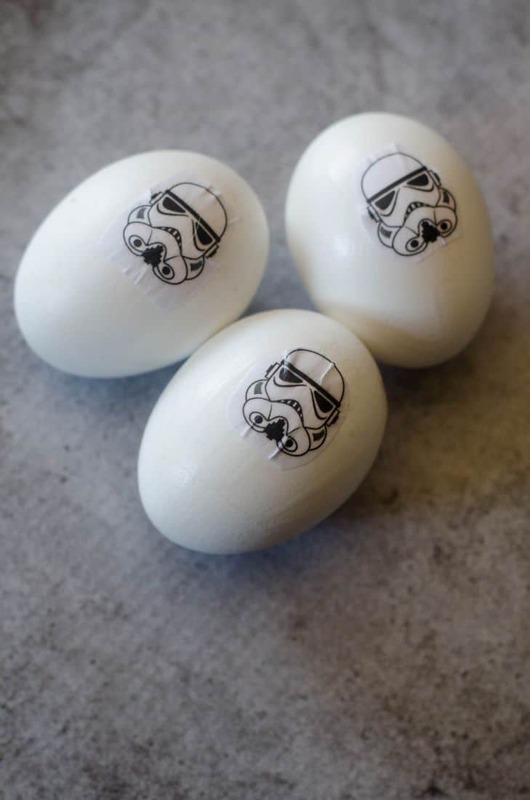 Using a paint brush add a little mod podge to the are of the egg you plan to place your trooper head. Add the head. Paste mod podge over head until it lays flat. Press any wrinkles out with your finger. Let dry for about 20 minutes. Now your ready to join the dark side! 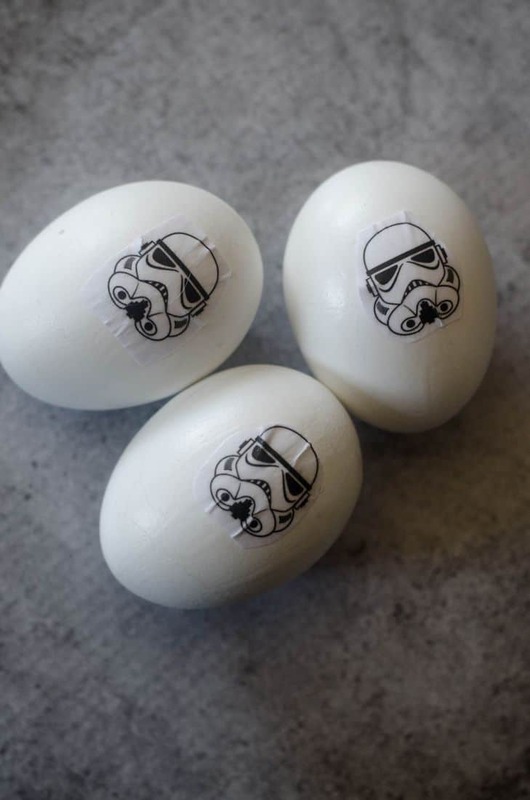 Once your done you can share these storm trooper eggs with your friend and family in some really neat Star Wars egg baskets. Just add some Star Wars themed candy and characters and it will be a complete and total galactic hit! Don’t forget to use these in your indoor Easter egg hunt. I like to mark the back with different symbols to show money, toy, or just leave blank for just the egg. This makes it so much more fun. We hid the money eggs the hardest so they really have to search to find those. 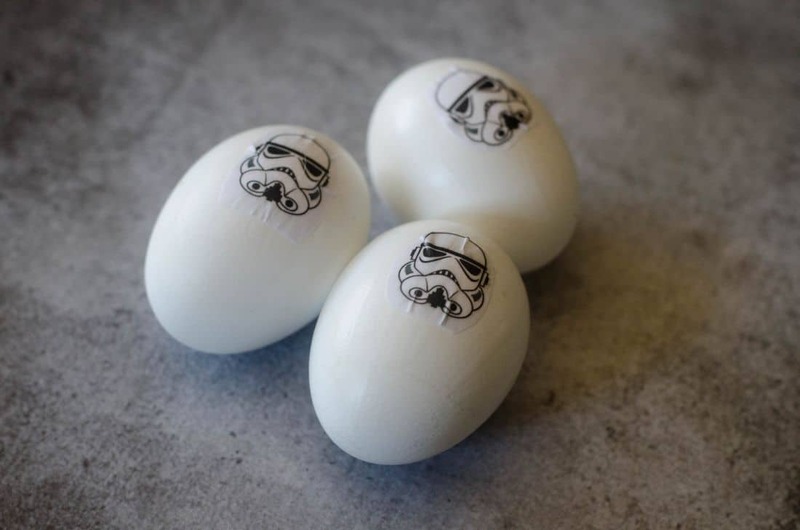 What kind of Star Wars eggs would you make? Would you do Rey or BB-8. I love old and new characters. It;s really just that hard to pick.